The third book in the Necroscope series traces the battle between Harry Keogh and the horrifying Vamphyri on their home ground, an alien landscape of looming towers, impossible cliffs, and ravenous vampire-beasts.Russia's Ural Mountains hide a deadly secret: a supernatural portal to the country of the vampires. 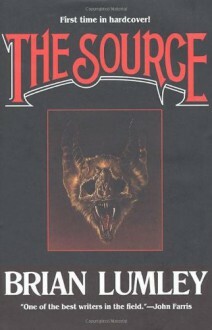 Soviet scientists and ESP-powered spies, in a secret military base, study the portal--and the powerfully evil creatures that emerge from it, intent on ravaging mankind.When Jazz Simmons, a British agent sent to infiltrate the base, is captured by the KGB espionage squad and forced through the portal, his last message tells Harry Keogh, the Necroscope, that the vampires are preparing for a mass invasion.Harry has only one option--to strike first. He must carry the human-vampire war to the vampire's own lands. But his strongest psychic power will be useless there. What good is the power to summon the dead in a country where nothing ever dies, where every man, woman, and child become half-dead servants of the Vamphyri?